Even though today's computers are so much more powerful than in the 80s, for me they lack soul. Of course, computers don't have a soul, but those of you who owned computers back in the eighties will know what I mean. I gained far more enjoyment from learning to program my 8-bit computer (creating small games and demos) than ever I do from using social networks and watching videos etc. Just so much more fulfilling! The demo above was often used in computer showrooms to show-off the graphics capabilities of the new Atari XE computers. My first Atari computer was an 800XL, but I eventually upgraded to the futuristic-looking 65XE (which looked like a baby Atari ST - cute!) and then a 130XE, before moving on to the 16-bit Atari STe. As you may have gathered, I was a bit of an Atari fan! All of the Atari 8-bit computers featured a MOS Technology 6502B CPU. The XL and XE range used ANTIC and GTIA graphics chips that produced up to 320 x 192 resolution with 256 colours, 4x sprites and raster interrupts. They used a POKEY chip for the sound. Running this demo would leave ZX Spectrum owners with their jaws to the ground! The Atari's colour display was way ahead of its time and this demo was pretty impressive for an 8-bit. This was one of the few demos to use the machine's APAC mode (64x50x256 res). This demo was created in 1996, apparently, long after Atari stopped making the 8-bit machines. In fact, even the ST models had been discontinued in 1993. However, some of the best software was being created for the XL/XE computers during the 90s, as by then programmers had learned all the tricks of the trade. Simplyeighties.com is a participant in the Amazon Associates affiliate program. This enables us to earn fees by linking to products on their websites. This demo blew me away in the 80s, and if you never experienced the great decade you cannot imagine just how awesome this looked back then with the limited technology available. 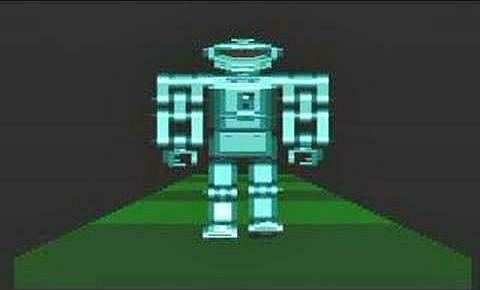 This screen grab is from a 130XE intro demo from 1987. The graphics were pretty spectacular for an 8-bit machine.